People have been predicting China to overtake the USA as the number one superpower at some stage in the future. Taiwan is the hotspot for any future conflict. Looking at the astrology of Taiwan should give some clues as to what the future may hold. The most accurate horoscope for Taiwan is the horoscope for the establishment of the Republic of China (Taiwan), not to be confused with the People’s Republic of China (China). Unlike the horoscope for the U.S.A, here we have a definite date, place and time so this is an excellent opportunity to look back through history and see if horoscopes of nations actually work in mundane astrology. As 01 January 1912 was the “first day”, I have used 00:00 am for the chart. Lets see how it worked out with major events since that day. These events are not timed exactly, so I am just looking at hard aspects (conjunction, square, opposition) from the preceding lunations and Pluto. I have found these to be very accurate indicators of major life changes as reflected in the natal horoscope. These transits are calculate using precession correction. Transits to the horoscope of The Republic of China (Taiwan). 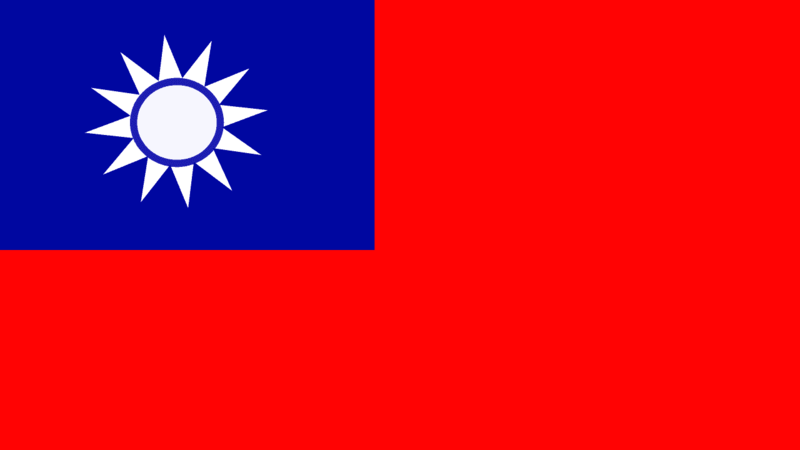 07 December 1949, the Republic of China relocated to Taiwan after being defeated by the communists on mainland China. Solar Eclipse conjunct South Node 35′ square Uranus 37′. 27 June 1950, US president Truman sent the 7th Fleet to protect Taiwan by patrolling the waters between Taiwan and China. Solar Eclipse square Pluto 44′. 03 September 1954, mainland China attacked Taiwan in the Firat Taiwan Straight Crisis. 23 August 1958, the Second Taiwan Straight Crisis. The US actively engaged China and threatened nuclear attack if it invaded Taiwan. 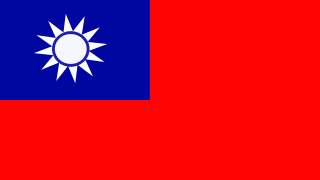 25 October 1971, the UN expelled Taiwan (Republic of China) and admitted the People’s Republic of China. 01 January 1979, the UN severed diplomatic relations with Taiwan. 15 July 1987, martial law was lifted in Taiwan for the first time in 38 years. 23 March 1996, the first democratic election in Taiwan, preceded by Chinese missile tests off the coast and the US deploying aircraft carriers to the region. Well that’s about as good as it gets in mundane astrology, especially those repeating patterns. Three times there have been eclipses on the South Lunar Node. Each time followed by a major event: The military loss and retreat from the mainland, the Second Straight Crisis when nuclear attack was threatened, and yet again, for the first free elections with all the threats and missiles. What makes this chart so accurate is that the AC, MC and Part of Fortune were aspected numerous time during major events. So I’m convinced now that this is an excellent working horoscope for Taiwan, time to look at the chart itself and see what it says about this “nation”. Mars and Pluto both prominent due to aspect and intense fixed stars. This may explain the White Terror and why the South Node (the past and karma) is highlighted in major events effecting Taiwan. 140,000 Taiwanese were imprisoned or executed because they apparently didn’t like the government. Both the MC and Neptune were activated often in that list of events I went through. The charts Neptune is on the martial star Pollux. Transiting Neptune is now squaring the charts Mars-Algol which will add to the tension through deceptions and misunderstanding. The exact date is 03 February 2010. This will be brought into the spotlight by the 14 February 2010 New Moon conjunct transiting Neptune. The New Moon will square the charts Mars by 26′ (the current precession correction value is 82′). 21 December 2010 there is a Lunar Eclipse conjunct the charts Pluto 13′. This could be a big one because Pluto is so prominent in the chart as previouslly mention, the Yod and the star, “War and carnage.” Mercury is opposite Pluto so it is at the reaction point of the Yod, another tough aspect for negotiating peace. Because of the nature of this horoscope it is hard to see anything other than conflict ahead for Taiwan, unless they ditch this horoscope by abandoning their claim for independence from the Peoples Republic of China. It is hard to see this occuring though with America beefing up the military of Taiwan. I expect something will have to give one way or another in 2013 when transiting Pluto hits the IC transforming the foundations, and transiting Uranus hits the DC, changing the partners. You didn’t mention anything about the corruption within the Taiwanese government. Former president who has a life sentence. Would that be shown in mundane astrology?? China might be in a few peoples dreams i’d say Karen. There is a link to 2012 and Tianmen square i’ll post about at some stage. it has to do with the Jupiter Yod. Jo, i was thinking about this after i posted the blog, how Pluto is so strong and it also rules corruption and underhand tactics. i don’t really know too many details about the politics there, but i do remember seeing on the TV news more than once, fist fights and chair throwing in their parliament.